Reklaim®, Inc., Boardman, OR, is the country’s premier commercial recycler of scrap tires into recovered carbon black (RCB) and tire-derived oils. The central element of Reklaim’s operation is a technology called pyrolysis, a thermal process by which hydrocarbon materials are thermally decomposed into constituent materials in an oxygen-free environment. Reklaim has a patent for pyrolysis of crumbed rubber with a vertical rotating tray dryer. The RCB is then pelletized and sold to manufacturers of rubber and plastic products. The tire-derived oils are sold to large industrial fuel blend organizations, for such uses as fuel oil for industrial boilers. During pyrolysis of shredded tires, the chemical bonds within the rubber compounds are broken, with the rubber temporarily converted to a high temperature hydrocarbon gas, thereby liberating the recycled carbon black from the tire. The gasified rubber stream is then cooled and condensed into oil and gas streams. Reklaim uses a Wyssmont TURBO-DRYER®, a large industrial dryer equipped with heating elements, at its 30,000 square foot facility. 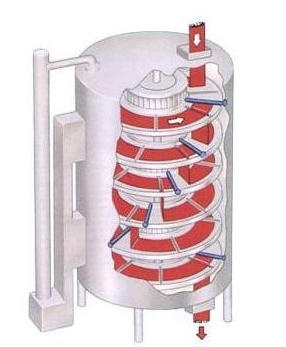 The TURBO-DRYER processor is very effective for Reklaim’s use, which is a thermal decomposition operation involving hydrocarbon gas in the complete absence of oxygen at temperatures approaching 1,000° F. So, anything that protrudes through the wall of the processor – such as the heating elements, which are placed through a tube at the top of the vessel – must be completely sealed. The Pelseal® 2077 was originally supplied to Reklaim with the Wyssmont vessel, and the company is pleased with its performance and intends to order more.